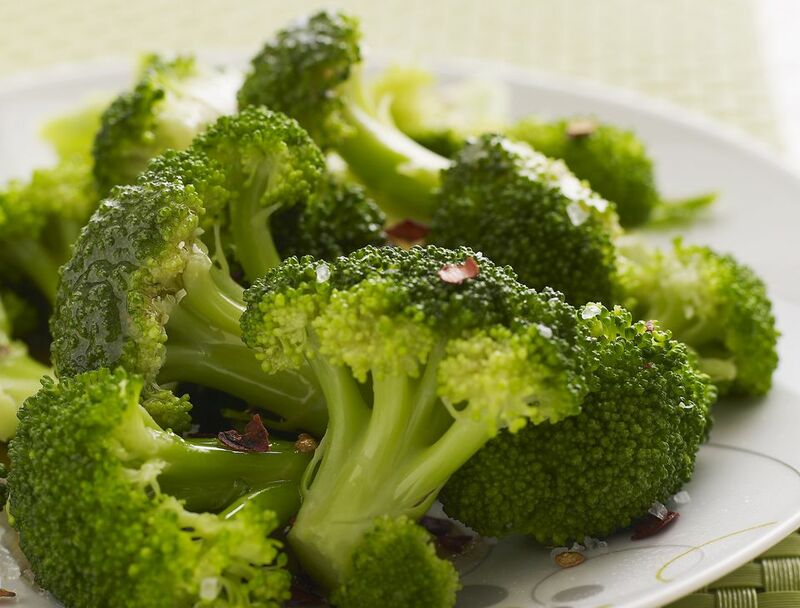 This healthy vegan Chinese restaurant-style recipe for broccoli in a sweet garlic sauce is best served with cooked rice. If you want something a bit more well-rounded, feel free to add in some other veggies too—perhaps sliced carrots or baby corn, or even some tofu for a heartier meal. This broccoli with garlic sauce recipe is vegetarian, vegan, and, if you use tamari in place of the soy sauce, it's gluten-free, too. Just be sure your vegetable broth is also gluten-free (read the label—some are and some aren't). Bring the vegetable broth to a boil. Add the garlic, soy sauce, ginger, red pepper, and sugar, stirring to combine well. In a large skillet, saute the broccoli in olive oil until just barely tender. Add the vegetable broth mixture to the broccoli. Add the cornstarch, stirring well to avoid any clumps. Cook for 6 to 8 minutes, or until sauce thickens. Serve over rice or another whole grain, such as quinoa or millet.